Where to hang them? With no wiring, anywhere you like. 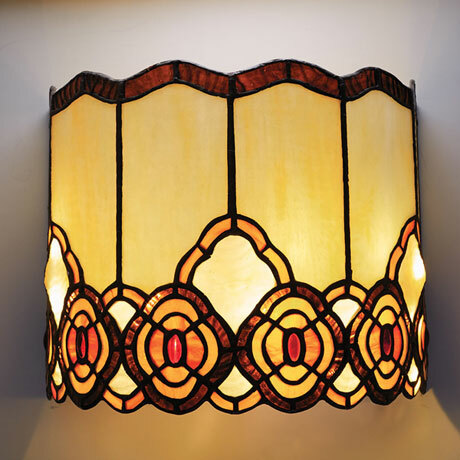 Crafted Tiffany-style from many cuts of art glass, sconces install in moments and run on batteries. 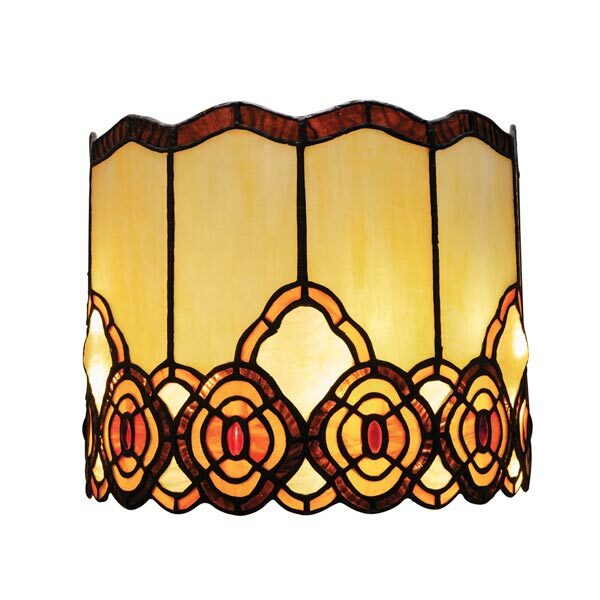 Nine white long-life LEDs provide up to 180 hrs. of light on 3 D batteries (not included). 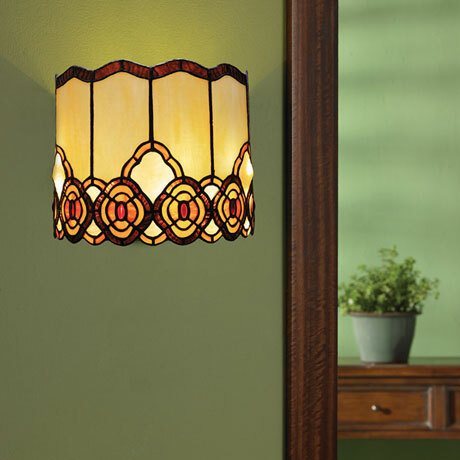 A remote controls the on/off switch, dimmer, and timer settings; each sconce also has a pushbutton on/off. Use indoors or out in a sheltered area.